I enjoy reading while commuting, so I am able to make good use of this time by reading a lot. I save web pages to my phone, print articles or carry magazines around. 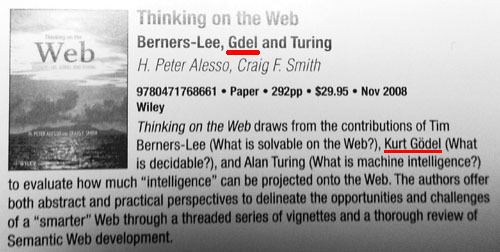 Yesterday I read an issue of IEEE Computer (March 2009). It was quite good, but I spotted a mistake on the very first page.